"But if in readings about The Holy Land such instruments as piano and harmonium are acceptable because they do not break the general tone of spiritual content, it is impossible to tell the same about the Gramophone that is used sometime to play the liturgy and the church chanting. It’s hardly possible to use it as a tool for conducting spiritually-moral readings in general and specially readings about The Holy Land. 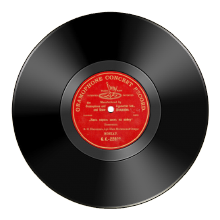 The Gramophone, as good as it might be, it still is not potent enough to convey that sincere and prayful mood which the performers-singers sometimes are filled with. Therefore it cannot render the same influence on the hearts of listeners as choral singing, especially when performed by the common public, which is quite accessible to each organizer of readings. Therefore the Board of Society recommends organizers of readings, and even asks them, do not use the Gramophone on readings about The Holy Land, and prefer to this invention the common public singing in which all listeners are always willingly take part, bringing to the performance of chanting a lot of feeling and religious mood. Fortunately, in the reported year, the Gramophone was mentioned only in reports of two branches (Kazan, Oryol) that is why it is possible to think, that this device has not yet attained the widespread distribution, and after recently published by Ministry of Internal Affairs the circular about prohibition of playing on the Gramophone the spiritual chanting in public places, and will not be used at all."